Porthcawl Choral Society is a mixed voice choir based in the picturesque seaside town of Porthcawl, South Wales. 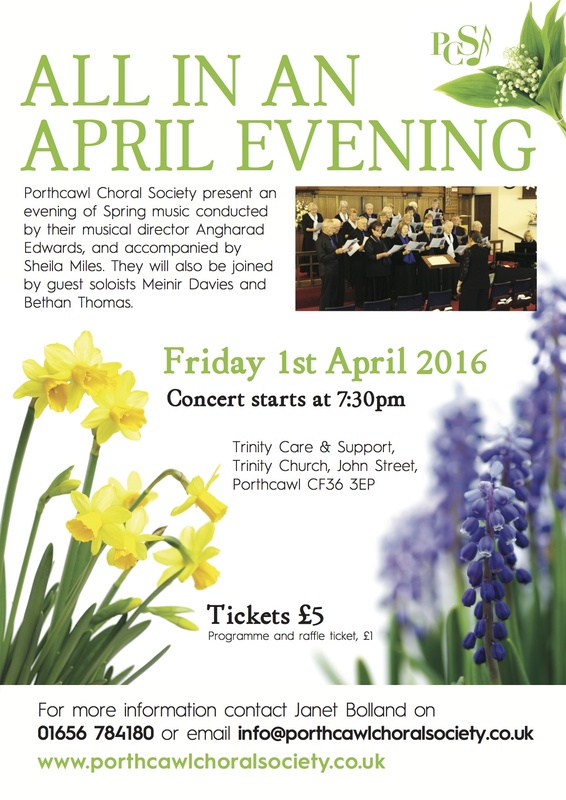 They rehearse every Monday evening, 7.15pm – 9.00pm at Trinity Methodist Church, Porthcawl. They do not hold auditions, although a basic ability to read music and some experience of singing is always useful though not necessary. They are always looking for new singers in all parts. Porthcawl Choral Society was originally formed in the immediate post war years by the late Mr Oliver Morgan L.R.A.M., A.R.C.O. Following a period of inactivity in the early 1960’s the society was reformed in 1965 by Mr. Idwal Williams L.R.A.M., L.T.C.I.